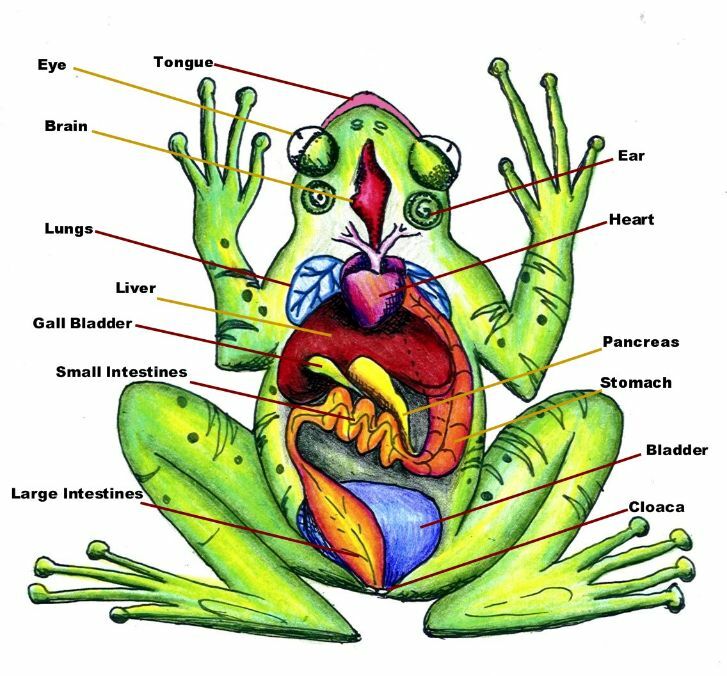 Sixth-graders come in two camps: those that giggle with uncontrollable joy when presented with a dead frog and an X-Acto knife, and those that shake their heads in protest, cry, vomit, or somehow manage to skip class on dissection day. I was in the latter camp, not because it made me sad or sick, but because I never really understood why anyone would want to cut into a perfectly good frog if the frog was already dead. The frog had ribbited its final ribbit. There would be no mouth-to-gullet resuscitation. So what was the purpose? I’ll leap to the point. At the moment, I’m about as fond of dissecting an old manuscript as I was cutting into a perfectly good dead frog. And I think I’ve figured out why: the manuscript on the table in front of me is as dead as the paper it’s printed on. Sure, it was alive once. There was a time when my fingers pulsed against the keys and breathed life into the characters that ended up on the pages. It was a wonderful time, a time when I had but no choice to write through the night; a time when my thoughts and dreams were commandeered by the characters that needed to speak. And they did. But that was then, you see, because I followed common practice and shoved the manuscript into a drawer. And as I sit here looking at the sheets, covered in red graffiti, I can’t help but think the story is dead. Done hopped its last lily. The thing is, unlike a perfectly good dead frog, my unperfectly dead manuscript can be resuscitated. With carefully crafted incisions, I can get the bits together the way they should be and give my story another chance. Of course, once I make my final cut, it really isn’t up to me – it’s only a reader’s eye that can give it another breath. And for that reason, I sit here with a red pen, fingers anxious to dance, giddy at the thought that my characters may live once again. This is unrelated to your above post. However, when I wrote this piece today, I thought of you afterward, reflecting on how beautifully you express loss in your life. You’ve gone dark for a while. I trust work and family life have you understandably busy. At the same time, I hope you are well and thriving. Eric, wonderful to hear from you! I’m honored that you’d think about me, particularly in such a high regard when you just knocked it out of the park! Your post, as usual, was so incredibly connected (if that makes sense). It’s something I really enjoy about your writing – it makes me feel like we are having a conversation. Not that you are talking to me, through your words, but truly that it is a bi-directional discussion. That is a gift, and a pure joy to read and I’m happy that I get to do it on a regular basis. Having said that, I have some catching up to do! Thank you for checking in. Your intuition is spot on – family life (baby #2 due in Nov) and work (the usual) have been insane. I’m working with a writing coach on my novel, so basically every free minute I get goes into that. It’s a grind. Its probably the most challenging thing I have ever done – to take a book I wrote nearly two years ago and to uncover all of its flaws, to expose the weaknesses and then to put in the hard work to make it better. It’s a wonderful roller coaster ride. The goal is to get it market ready by the time our baby is born in November. So I imagine eD will remain at the back of the line (though I did write a piece, related to loss, as a guest blogger that I expect to come out shortly)…thank you again for checking in, Eric. Happy writing!!! Best of luck to you. I’m in the process of trying to pick up where I left off–a couple of years ago–in the middle of a manuscript. You hope to resuscitate your manuscript; I hope to get my crippled one up and walking again. Neither one an easy task. Having one of those kind of manuscripts I know exactly what you mean . Try not to think of it as cutting into or dissecting once your pick it up and start working on it, instead think of yourself as Dr. Frankenstein hoisting the dead body of a book up to the highest turret of your laboratory waiting for the lightening to strike some life into it….so go forth Dr,.Frankenstein.. and revive the monster! I’m sensing, in fact, I’m fairly confident that readers are in for a Mr. Toad’s Wild Ride. Your characters are going to live again because you believe in them and the story they yield. Frog metaphors are leaping here but I’ll kindly squish them. It is good that you’ve chosen to incise and revise. And… if you’re open to kissing a frog, there’s no telling what might manifest. In words, of course. Welcome back, to the blogosphere and the editing table. Can’t wait to read it. Claire and I are here in Siem Reap editing our way less lyrical non-fiction book on rethinking volunteer travel…. and I can’t help but think of it as a dead frog now. Want to come here with your red pen? We could use you 🙂 Hugs!